This is a tremendous milestone for the game and we are proud of the work that has gone into bringing it this far. We could not be more thrilled to share it with you. What Content Complete means to you, the players, is that you now have full access to all of the game’s content, items and difficulty modes. Nothing is blocked off, no quests remain that cannot be completed. There is no cruel Clone of John Bourbon awaiting you at the end of the line to tell you that you must wait for the next update. Starting today, you have the full experience from start to finish. With Build 29, the finale of the story is now accessible. You can venture into the Necropolis and thwart the vile plans of the Cult of Ch’thon as they seek to resurrect the Herald of Ch’thon and usher in the end times. But that is not where things end. After defeating the final boss, you can restart the game on Elite and, eventually, on Ultimate difficulty, where the greatest challenges await. Also included in this update is our second Roguelike dungeon: the Bastion of Chaos. Only the bravest adventurers should seek out this pit of despair in the deepest reaches of the Void. Finally, with the level cap increased to 85, you have a chance to discover over 500 new Unique items, including Empowered Epics and over 240 pieces of Legendary tier equipment. Looking to the future, Build 30 will be released in early 2016 and will include balance changes, bug fixes and polish to all aspects of the game as we prepare to take Grim Dawn out of Early Access around February. We hope that you enjoy the update and wish you a Happy and Safe holiday season! In case you’re not familiar with it, Grim Dawn is an Action RPG made by Arthur Bruno (Lead Gameplay Designer of Titan Quest) and his team with the Titan Quest engine. 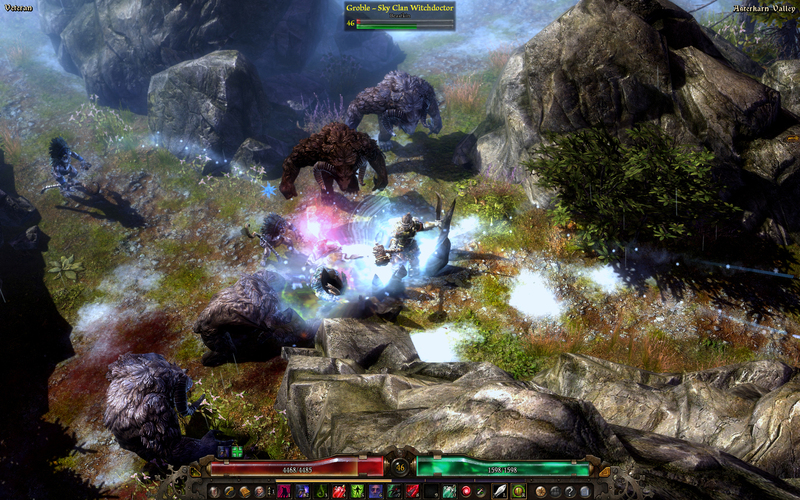 Grim Dawn received crowdfunding through Kickstarter (over $500K) in Spring 2012 and it’s been available on Steam Early Access for over two years, with 94% of user reviews being positive. Here’s an overview of the key features of Grim Dawn, which we’ll review as soon as it is fully released.